The Santa Claus Village of Marina di Varcatura (Giugliano in Campania), a 20,000 m² theme park, returns for its 9th edition from Monday, December 3, until Saturday, December 22, 2018. 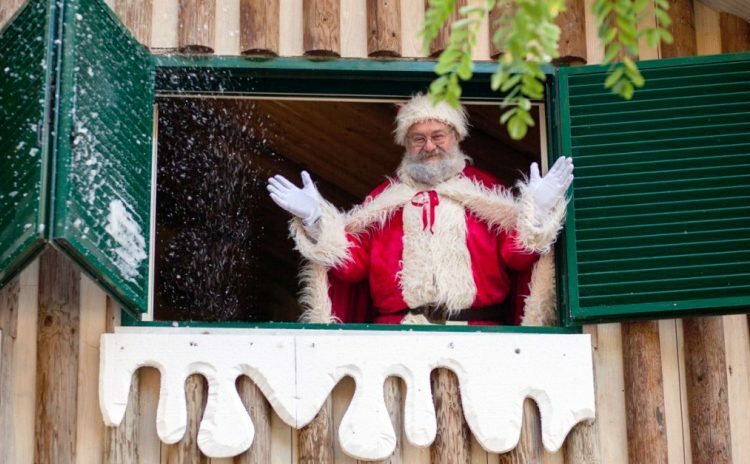 Santa Claus Village offers a real trip to the Arctic Circle, among elves, reindeers, yetis, superheroes, and, of course, Santa Claus himself. Pastry and craft workshops are held by Santa’s Elves, whom children of all ages can also help wrap up gifts for other kids. Other activities include baby dance, arctic snowfall, 7D cinema (a wonderful Christmas-themed interactive experience), inflatables, and the “arctic” rodeo, with a mechanical reindeer. Gospel choirs, shows, fire breathers, jugglers, trapeze artists and other street artists animate the Village, while in the indoor dining area visitors can taste delicious local and non-local dishes and delicacies. Santa Claus Village is dog-friendly: visitors can adopt dogs and receive valuable advice from experts and trainers, as well as bring their own pets and compete in agility and moving competitions. This year the event is dedicated to classes and groups of minimum 10 children. From Monday to Saturday Saturdays and Sundays, 9 am – 1:30 pm by reservation only.